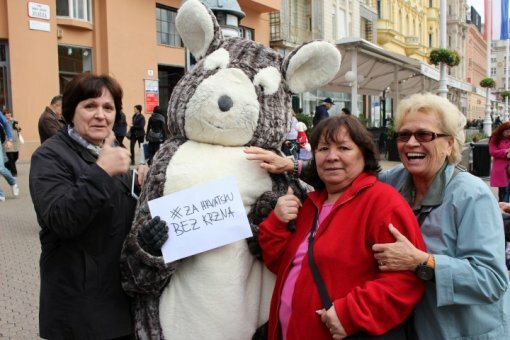 - Chinchi's public message via Facebook: "Viva La Chinchilla"
This week will stay remembered in the history of Croatian politics because one chinchilla decided to declare her decision to run for Parliament as an Independent member. 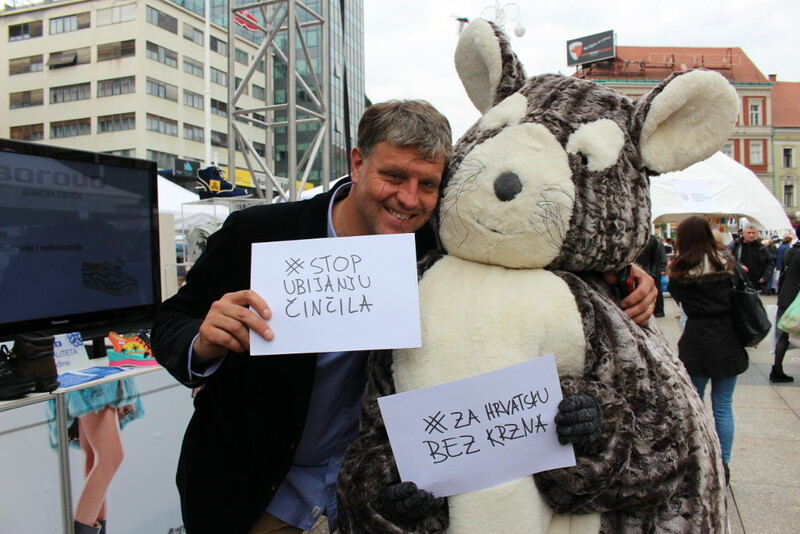 Faced with ever-growing hopelessness concerning animal rights in Croatia, chinchilla Chinchi decided to become an independent candidate for a place in the Parliament with a slogan "From the Cage to the Parliament". 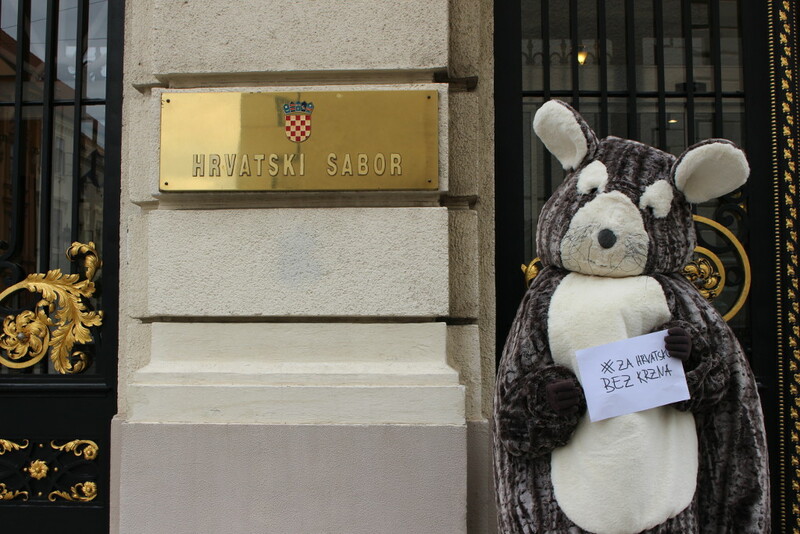 Animal Friends Croatia are saying that the final straw was the announcement of alteration in the Animal Welfare Act which would allow raising of animals for fur production in Croatia, especially chinchillas. 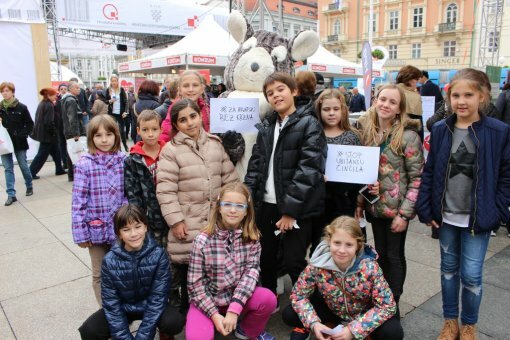 "When she told us about her intention to run for the Parliament we thought she was joking but after seeing her determination for changes we decided to support her with all our hearts", said Animal Friends Croatia. Within her election campaign our contemporary politician Chinchi opened a Facebook page Viva La Chinchilla and a Twitter profile Viva La Chinchi, which are a clear declaration of her revolutionary aspiration to change law regulations of no benefit for animal welfare. Everyone is invited to give her support on social media by liking, sharing or taking a photo with hashtags #4FurFreeCroatia, #StopKillingChinchillas and #VivaLaChinchi, and posting and sharing those photos. Even though her candidature has caused a lot of interest online from the beginning, Chinchi is stating that it's not in her interest to become just a charismatic furry camera attraction. Above all, she has a serious message which entire Croatian public must hear. In January 2007 Croatia passed an amazing law regulation – ban on raising animals for production of fur with a transitional time of 10 years. That law was second by the Government, all the leading political parties, MP's, more than 70 percent of the citizens and 100 percent of chinchillas in Croatia. Despite the fact that the transitional time was more than enough for breeders to adjust to the law, minister Tihomir Jakovina has noted in his letter to the Parliament at the beginning of the year that there is a possibility of canceling the law regulation, two years before it was fully implemented. Chinchi is aware of the political inertia when dealing with animal rights, therefore she decided to hit the political scene by representing all furry animals, as well as all the exploited beings. The support and sympathy Chinchi has gained from the citizens in no time are a proof that she made a right decision. Singer Sanja Dolezal, water polo player Dubravko Simenc and skier Nika Fleiss are just some of the supporters. The voters won't make a mistake by giving their support to this exquisite candidate for The Parliament because a vote for Chinchi is a vote for progress and compassion. 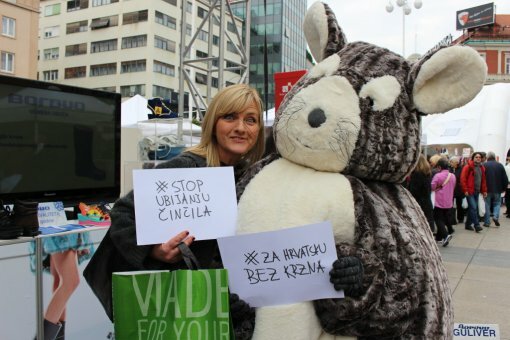 Help the animals and help supporting a complete ban on breeding of animals for fur in Croatia! You can follow the progress of Chinchi's election campaign and her devotion to all animals on her social media pages www.facebook.com/VivaLaChinchilla, https://twitter.com/VivaLaChinchi.